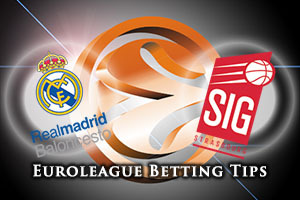 The reigning Euroleague champions have been in terrible form of late but they know that a win will take into the Top 16. This should be all the incentive they need but Strasbourg know that a win by 29 points or more will see them book their Top 16 spot. It is more likely that the French side will be hoping for an away win and a FC Bayern win on Friday. It is firmly back in Real Madrid’s hands on Thursday and you can’t imagine the Spanish giants will let Top 16 qualification slip from their grasp. Booking a spot in the next round of the Euroleague will give them time to look back on the mess they have made of the qualification process while still being in contention for the big tournament. With the players that Madrid have, they are ranked fourth for scoring, there is no reason why they cannot retain their title, but they clearly need to get beyond this hurdle and them improve significantly when it comes to the New Year. Rudy Fernandez remains on the side-lines but Jaycee Carroll and Jeffery Taylor can deliver for the home team. The French side know that it is very likely that they will be dropping into the Euroleague but they have absolutely nothing to lose in this game. The hosts will have plenty of pressure on them and this may just be the critical factor for the away team. 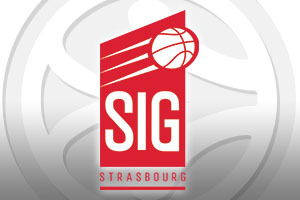 Players like Rodrigue Beaubois and Louis Campbell will need to be at the top of their game, and Real Madrid Baloncesto will need to drop to their poorest form of the season, but you can’t rule out Strasbourg just yet. Just grabbing a win is the first thing that the French side has to focus on so it should be an open game in Madrid on Thursday evening. Given that Madrid should win convincingly but Strasbourg will have plenty to play for, taking Strasbourg at +22.5 at odds of 1.90 should be a decent bet. For the Over/Under market, look to go OVER 159.5 at odds of 1.90 in Madrid on Thursday. Bet Now!